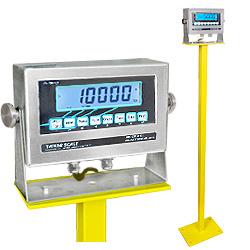 Floor Scales Direct is your source for top quality livestock weight scales. 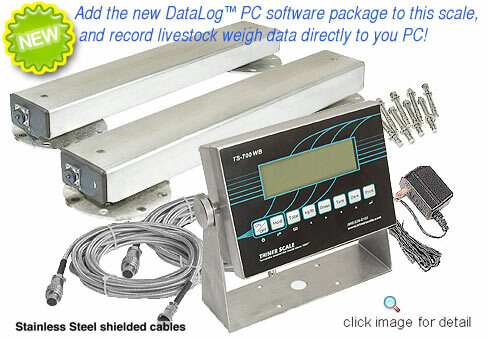 When it comes to getting accurate cattle weight, our Livestock Scale, 24" Weigh Bars is the best product you will find among any cattle scales. 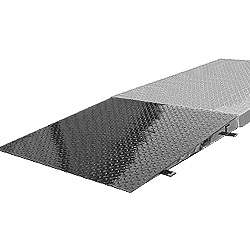 It is easily mounted under livestock chutes, platforms, large tanks and hoppers. The cattle scales are highly accurate for animals up to 5,000 lbs., and our Average Weight Hold feature compensates for animal movement. With its quick and easy setup, heavy duty steel construction, and rust proof galvanized steel finish, this scale will save you time and effort. 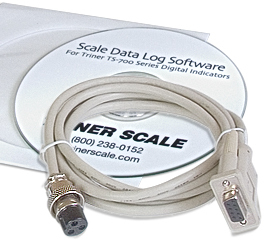 As an added bonus this scale can be shipped at no cost anywhere within the U.S.A. 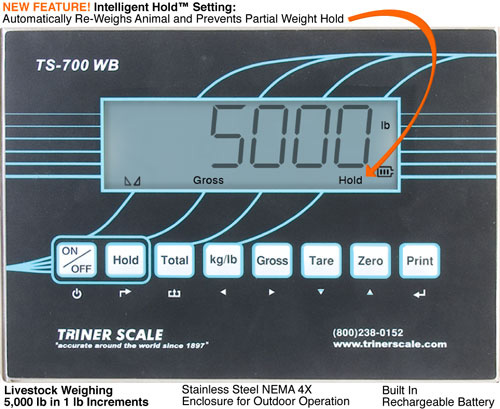 This scale is so dependable and versatile it can be used for more than just livestock and animal weighing. 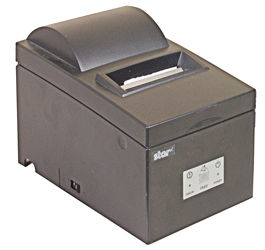 Use this scale for drum, gaylord, pallet and skid, container weighing, and much more. 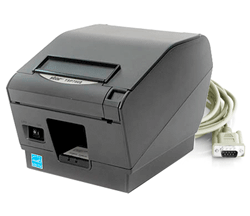 The load cells are water tight so you can use them in wet environments, and it also comes with two 15' quick connecting cables for hostile environments. 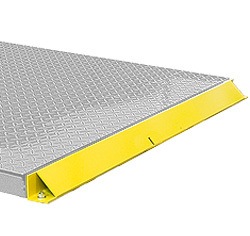 This scale may not be the solution to all industrial floor scales needs, but it comes very close. If you have any questions, comments, or special requests for our cattle scales, please contact our expert staff at 1-800-238-0152. We have a floor scale with your name on it!